With Captain America: Civil War just weeks away it is no surprise that Marvel is dropping hints of what lies ahead. The movie is going to be a turning point in the cinematic universe the company has spent nearly a decade building and the film is sure to have more than a few surprises up its sleeve. Last night the company shed some light on what’s to come. 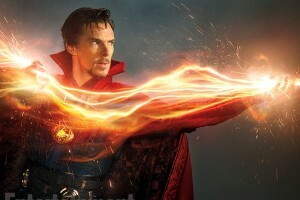 Never one to play it safe, Marvel is taking a chance that it’s next big hero will be Doctor Strange. The character, though well known to comic book lovers, isn’t that mainstream to the general public. Even trickier is Strange is both a scientist and a sorcerer so the plot is sure to go to some unexpected places. In any other hands that story could end up cheesy and laughable (if you don’t believe me check out the 1970s version) but Marvel has assembled some of the best actors in the world to take on the task. Benedict Cumberbatch is the Sorcerer Supreme in this winter’s Doctor Strange. The trailer, which shows just enough to make your jaw drop, showcases not only Benedict Cumberbatch’s Stephen Strange but a bald Tilda Swinton as a gender-reversed Ancient One leading Cumberbatch (and the audience) down the Marvel Universe rabbit hole. In less than a minute Doctor Strange gained a plethora of new fans. Strangely, their next move isn’t as easy a sell. Last year Marvel and Sony joined forces to bring the Sony-owned Spiderman into the Marvel Cinematic Universe. That meant a reboot of the character while keeping both studios happy. While there is no doubt the web crawler will be done justice in Civil War when he makes his first appearance but after is where things get a little murky. Yesterday the title to Spiderman’s first standalone film after Civil War was announced and it is going to be called Spiderman Homecoming. 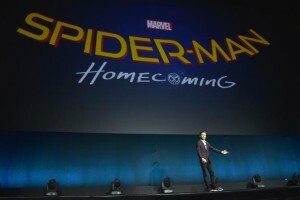 The new Spidey himself Tom Holland introduced the name of the next Spiderman film at CInemacon. While many have faith that the movie should be good the title leaves a lot to be desired. After the last two incarnations of Spiderman both companies seem to be trying to tone down the danger element and amp up the wit and charm of the character. Though Homecoming will likely be a fun movie one gets the impression it is going to be rather forgettable. Still, Marvel (and by proxy Sony) is at least trying to push the envelope with their properties and others are taking notice. The company pioneered the idea of a shared universe almost a decade ago and only now are we seeing other studios like WB, Sony and Fox trying their hardest to catch up.